Open Heart Magic’s goal is to improve the hospital experience for sick kids and their families through our Hospital Bedside Magic® programs. To achieve this goal and make our programs successful, a strong partnership with each hospital is critical. Open Heart Magic has collaborated with hospital staff to ensure that all hospital requirements and clinical considerations are built into our Magic University training and Bedside Magic programming. To make our weekly Bedside Magic service most effective for hospitals, Hospital Magicians are designated as hospital volunteers. They attend orientations and receive health screenings at the partner hospital. Our comprehensive Magic University training and screening process – in conjunction with the hospital’s volunteer screening process – eliminates the need for using hospital resources to manage the Bedside Magic program. 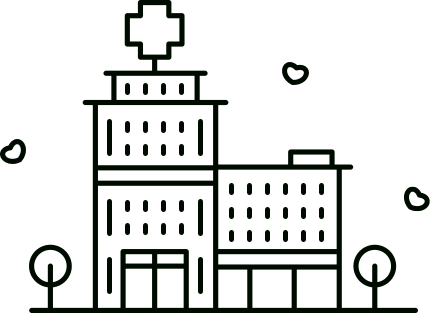 While shadowing of Hospital Magicians by hospital staff is recommended and encouraged, Open Heart Magic understands that staffing on patient floors can be tight. Hospital Magicians are trained to work independently with patients at their hospital bedsides. Our volunteers are specially trained in hospital protocol and the sensitive nature of working in hospitals. In a truly collaborative process, Hospital Magicians take direction from nurses and staff. Hospital staff may make special requests for Hospital Magicians to work with certain kids who are going through a particularly stressful time. 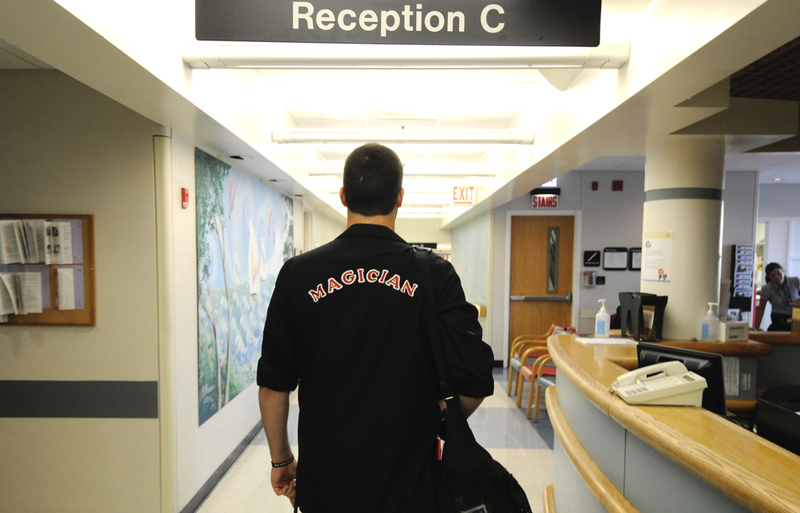 Our Hospital Magicians reach all the kids in a hospital – one-to-one at their bedsides – something no other hospital volunteer program does. On patient exit surveys, parents often express appreciation for our magician visits, noting that this was the first time their kids smiled while in the hospital. New Bedside Magic programs roll out slowly at first, starting with once weekly Hospital Magician visits at a set time. Nurses and doctors tell us that Hospital Magician visits give young patients something positive to look forward to and are especially helpful in getting a child through a difficult period. As the Bedside Magic program grows at a partner hospital, visits increase to up to 3 times a week by a set team of Hospital Magicians. To maintain the quality of each Bedside Magic program, Open Heart Magic focuses on gradual, steady growth. The goal is to reach every child in a hospital, while ensuring that Hospital Magicians have enough time in each young patient’s room to create an amazing experience. Behind every Bedside Magic program is essential support from Child Life, Nursing and other hospital staff. Because of the amazing support from Open Heart Magic’s hospital partners, thousands of sick kids are able to benefit from this transformative experience.